Hello Simone Zambolin, can you give us a brief introduction of yourself and let us know your role in Zadea? My name is Simone Zambolin, I am the co-founder and CEO in Zadea. We decide to found Zadea in the year 2014 to satisfy the growing demand of IT infrastructures in Milan hinterland zone. Can you please share with the community what does Zadea do? Zadea is an IT Consulting and Internet Service Provider company. 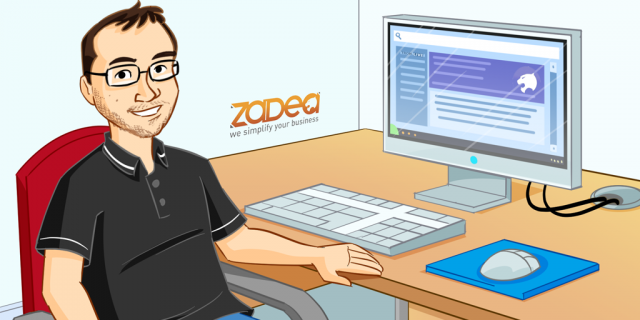 When a company need to virtualize its servers, to renew its database or mail system, or they just need a very fats connection to internet , they call Zadea. Since you are based in Italy, can you let us know general Italian’s opinion on blockchain, cryptocurrency and TRON? As in many countries, blockchain is still something new: we work in IT sector , so we are very close to innovative technologies, but just 2-3% of our customers know what a cryptocurrency is. We can say that until now there is no opinion about blockchain because people here just start to hear about it and understand what it is. Italians are known for their passion and your campaign slogan is “Let us create blocks with Italian strength and passion”. Can you let us know how do you plan on putting your strength and passion to secure the TRON network? Will you be doing any more promotion to introduce Zadea in this TRON SR election? We plan meetups in Italian IT fairs after elections our idea it’s to start from professional sector, it’s a different approach, the idea it’s teach professionals about TRON and blockchain. 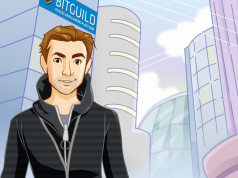 We will dedicate at least 100k $ every year to support our community and other 100k $ to project, this will be the minimum guaranteed amount, if we get benefits during the first 2 years they will be invested in support our community, after 2 years ( maybe one, it depends on how TRX will grow in the market) we think we will cover all infrastructure deployment costs (take a look at our ambitious Plan for hardware expansion at https://tronsr.org/index.php?p=/discussion/2602/zadea-to-run-for-tron-super-representatives ) so the benefits for the community will increase exponentially. We visited your website (zadea.it) and noticed that the content are in Italian. Will you have updates in English for English supporters? 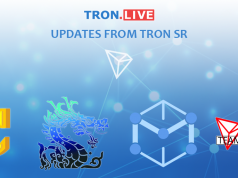 Yes, the site is in Italian, it’s a site for our customers, we plan to build a new site after election to classify and organize all information regarding Tron, at the moment we are using our social channels. How else can Zadea help to aid the growth of TRON? Zadea want to start from professional sector, but we plan to grow the user community too, with promotion and rewards, as we said before we will have a 100K$ rewards for year for projects, every month we chose project rewarded with a prize in TRXs , if there is no candidate we put the reward in next month prize. Another 100K$ prize will be for users that support us voting or promoting our node. In summary, can you let the community know why Tronics should support Zadea? What will happen if a big cloud provider chose (or is forced) to shutdown TRON nodes, what happen if a big Country with many nodes decide to block all node in its territory? 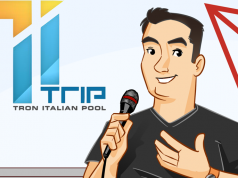 We are the only one in Italy to run for TRON SR, and we have a complete control over our infrastructure because we are on the other side, we offer cloud services, we don’t buy them. Before we end this interview, is there any last words you would like to share with the community? Together, all together, we can make the difference with TRON.